The Refrigerator Monologues - Kindle edition by Catherynne M. Valente, Annie Wu. Literature & Fiction Kindle eBooks @ Amazon.com. 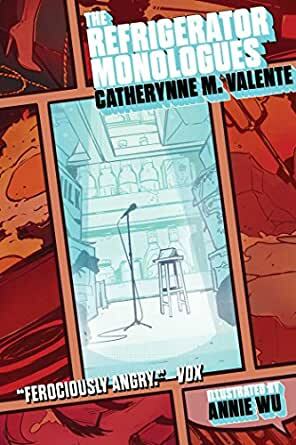 From the New York Times bestselling author Catherynne Valente comes a ferocious riff on the women in superhero comics. The Refrigerator Monologues is a collection of linked stories from the points of view of the wives and girlfriends of superheroes, female heroes, and anyone who’s ever been “refrigerated”: comic book women who are killed, raped, brainwashed, driven mad, disabled, or had their powers taken so that a male superhero’s storyline will progress. "This is Valente at her sharpest and most pointed, ably assisted by illustrations from comics artist Annie Wu (Black Canary)." A quick bit of comic book trivia for any non-comics fans: a few years back, a comics fan (and future comics writer) named Gail Simone set up a website dedicated to "Women in Refrigerators" -- women characters in comic books who got killed off, maimed, and abused solely as a method for giving male superheroes angst and drama. Gwen Stacy, Karen Page, Alex DeWitt -- all killed off so the lead character would get a chance to grit his teeth and swear vengeance. That brings us to this book, where Catherynne M. Valente introduces us to a group of women, some superheroes, some girlfriends, some a combination of the two, who all end up in Deadtown, filled with dead people and gargoyles, where all the food comes from extinct animals and you never get to change out of the clothes you were buried in. These members of the Hell Hath Club meet and tell the stories that never managed to make it into the comic books. So we meet Paige Embry, girlfriend of (and accidental creator of) Kid Mercury, who gets between her beau and an angry supervillain and gets thrown off a bridge. We meet Julia Ashe, massively powerful mutant who gets edited out of the universe because her power scared her teammates and mentor. We meet Pauline Ketch, high-spirited and psychotic girlfriend of the craziest supervillain on the planet. We meet Bayou, princess of Atlantis, shipped off to a mental hospital because she dared to mourn her child. We meet plenty more, all stuck in Deadtown for the rest of eternity, and all not very happy about that. The book is wonderfully written and grand fun. It's great to see these characters -- who are normally remembered almost entirely as "That One Superhero's Girlfriend Who Got Killed by that One Supervillain" -- given the opportunity to tell their own stories, explain their own viewpoints, and vent their own anger about being killed off and forgotten. And yes, with enough comics knowledge, you can recognize nearly all the characters in the book as the characters they're supposed to represent from the comics. But that isn't necessary to enjoy the book. In fact, there are plenty of fun changes made to the personalities. For example, in the Aquaman comics, Mera is an Atlantean of human appearance, fully comfortable with her roles as both a warrior and a queen; Bayou, her counterpart in this book, looks much less human and has a much more punk-rock attitude, preferring to escape from her palace so she can perform in her band. If you love superheroes -- and especially if you crave an antidote to the Women in Refrigerators phenomenon, you'll certainly want to read this book. 4.0 out of 5 starsI just really hope this novella gets some conversations started. The Refrigerator Monologues tells the stories of six women - all of whom were the wives or girlfriends of superheros (and one supervillain). A couple, were themselves a hero and a villain. Ultimately, all of them ended up dead because of the men in their lives. The ladies in this novella live in "Deadtown" and gather together to tell their stories. The stories, are actually nearly copies of famous comic book stories. Honestly - that makes it so much worse. To realize that women characters have been killed, depowered, raped, go insane, become addicts, or some combination of the above since at least the 1970s. And, it is still happening today. 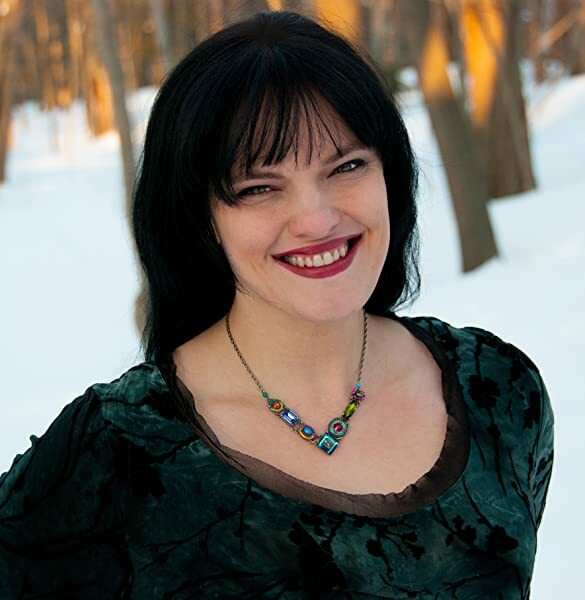 Catherynne Valente shows her ability to write multi-genre fiction in an astonishing way, giving a voice to women used as props and goads in comic literature throughout the past 80 years. Not only does she successfully show the other side of these stories, she does so while making the characters their own; not as we perceived them through the gaze of the superhero they were associated with, but as their own standalone person, in their own right, and with enough shocking reveals and twists that the archetypes she references never go stale. In particular, she effortlessly captures the feminist vibe of Harley Quinn in every character - the ability of these women to not be perfect, not be ideal, not be innocent, not be objects and instead let them be, well, people. People who curse and care and make love and make bad decisions, people who can get things done and can fail and rationalize their own choices. These aren't perfect women, and not just the Harley analogue - and they are not life lessons for others. While many don't have superpowers of their own, all are heroes of their stories, and all have something profound to say. They don't pull punches and the hits they land do damage. The anthology evokes the best parts of Wild Cards and other 'real-life' superhero stories with points of view that are thoughtful and powerful. They work fine as stand-alone stories in their own rights and evocations (and condemnations) of comic stories that are famous. They work as a beautiful extension of Chris Claremont's famous rebuttal to Captain Marvel's horrible abduction story; if you ever read that, and then wanted to see it taken to its next logical, perfect conclusion, this is the book for you.